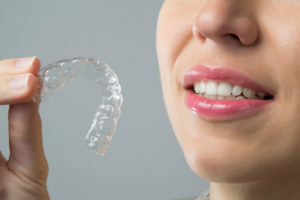 Invisalign invisible braces are a great alternative to traditional braces. These are a clear plastic retainer system used to align teeth. Teens and adults especially prefer them to the metal braces. Now there is a way to correct tooth alignment without the embarrassment that can go along with traditional braces. No one needs to know you have them. The orthodontist will take many pictures and do a bite impression of the teeth. Both of these are used to make a 3-D model of the mouth. A simulation is then done of the way the alignment will take place over time. Finally the custom fitted plastic retainer trays are created to follow the simulation and the position the teeth should be in. How many trays are needed depends on how much correction and what type of correction of the teeth is required. On average 18 to 30 trays are made for each person. The trays are worn for two weeks then the next tray in the series is worn another two weeks. This will be done continuously until the teeth are in the correct position. The time these are used is the same as with the metal braces. They are worn 24 hours a day unless the person is eating or the teeth are being cleaned. When the initial trays are in place there may be some discomfort and some time needed to get used to them being in the mouth. There will not be the pain that comes with metal brackets and wires in the mouth. Wax is often needed on them to keep them from making small tears is the soft tissue. The metal braces need special cleaning. 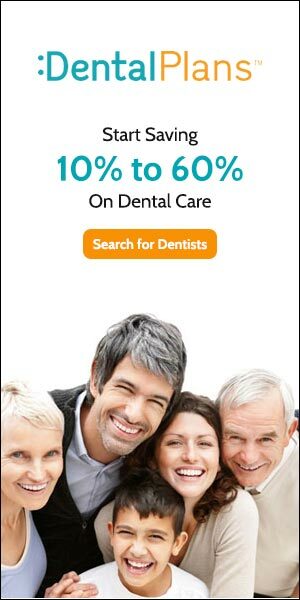 The wires require periodic tightening by the dentist. Sports becomes dangerous without a special mouth guard. The Invisalign braces have none of the problems of the traditional braces. These are made of smooth clear plastic with nothing to cause cuts or irritation. No painful adjustments need to be made. 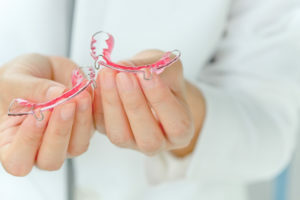 A dental checkup will be necessary to make sure the retainers are doing their job. Unlike with metal braces these can be removed whenever it is necessary. 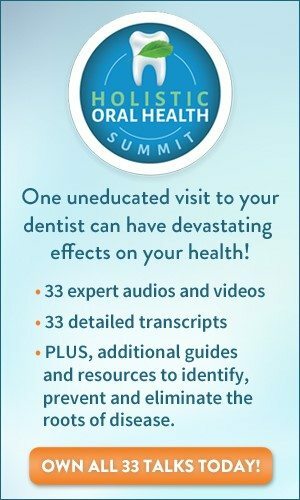 There are no restricted foods with the Invisalign braces. All favorite foods are still on the menu. With traditional braces popcorn and gum are off limits. With Invisalign just remove the braces before it is time to eat. Clean the teeth and then replace the tray. Cleaning the teeth is so much easier with the clear retainer trays. With metal braces there is a chance of tooth decay and discoloration. A special tooth brush is needed as well. With the possibility of food being stuck in them there is the complaint of bad breath. Since the trays with Invisalign are removable the teeth can be brushed and flossed as usual.